Months after lawmakers repeatedly tried to pass a "bathroom bill" regulating which public restrooms transgender Texans are allowed to use, several Texas business leaders told a House committee Wednesday that such a law would be bad for Texas' economic future. The House Select Committee on Economic Competitiveness, established by House Speaker Joe Straus following the special session this summer, is tasked with ensuring new business continues to come to Texas. The members heard testimony from business leaders including Dallas Mavericks owner Mark Cuban, real estate developer Ross Perot Jr., Dallas Stars President and CEO Jim Lites and others on how different policies would impact their companies and the future of the state. Cuban summed up the testimony of several business leaders at the hearing succinctly: "I could care less where you pee." He said when states take divisive stances on political issues such as LGBT rights, it may discourage big companies from relocating. “If you get to a company that’s large enough, there’s going to be somebody who is transgender, as an example, who’s really good ... How can they, in good conscience, go to someplace where that person would be put at risk?” he said. The panel also analyzed how to bring business to the state, using the example of North Texas’ recent bid for Amazon’s new headquarters. 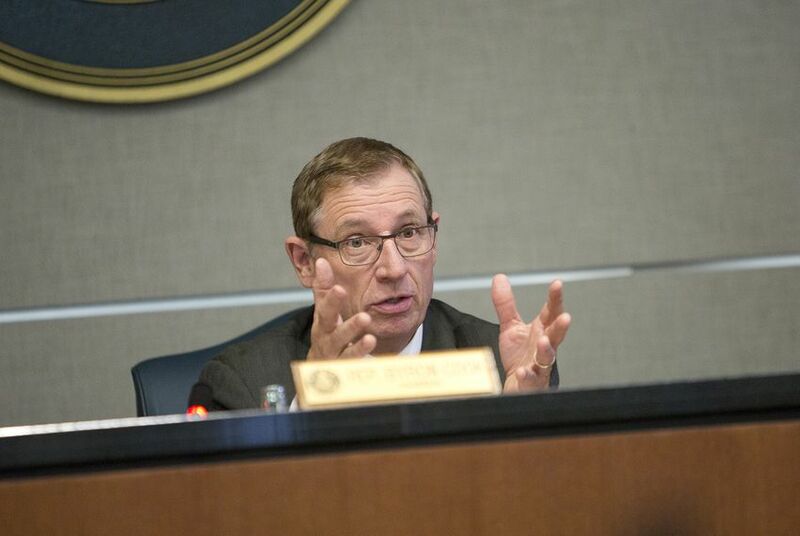 Frisco Mayor Jeff Cheney said that during the bid process he learned how important local control is to cities. Another topic at the hearing was Texas' stance on illegal immigration. Perot called on the Texas delegation in Congress to pass legislation to help fix the state’s immigration problems and labor shortages. “We need more guest workers to come in, and we need more legal labor to come in to help feed this economy," Perot said. "The Texas delegation should lead that effort in Congress to try to bring an immigration bill that can really help fix the high end, the low end of the immigration crisis." Another recurring theme brought before the panel was promoting education and infrastructure growth, a more traditional way to be business friendly. Cuban said that in a future of autonomous cars and robots, adjusting to new technology is going to be key. The panel is set to hold a second hearing Dec. 5 and report its findings back to Straus by Dec. 12. Disclosure: Ross Perot Jr. has been a financial supporter of The Texas Tribune. A complete list of Tribune donors and sponsors is available here.